The source of inspiration for my "Handstitched Holiday" came from my hunt for stocking material. I looked ev-er-y-where for the perfect material... I looked at sweaters, scarfs, plaids, wools - anything and everything. I really wanted a knit sweater look - something that looked homemade and cozy. Oh, and my budget was about $40. I made a last ditch stop at TJ Max. What-do-ya-know. I found a knit blanket that had a classic, cozy reindeer and snowflake design - perfect! It was $35 - perfect. It gave me enough material to make 3 stockings and a pillow case to match. I can't tell you how easy it was. The cutting, assembling and sewing took me about 45 for all three! I made my pattern from a piece of kraft paper... as you can see, it was a very loose sketch. I doubled the fabric and cut out both pieces (front and back) at the same time. This is a view of the inverse of the fabric - it was reversible! I sewed it inside out leaving the top open with a folded over cuff - the stocking on the right shows the stitching. I trimmed the excess, then flipped it right sided out. Here is a close up of the material. I love how charming and cozy it is. Here is the pillow that I made from the remaining material. I put a plaid material on the back. It was cut from an old blanket that I used for the tree skirt. 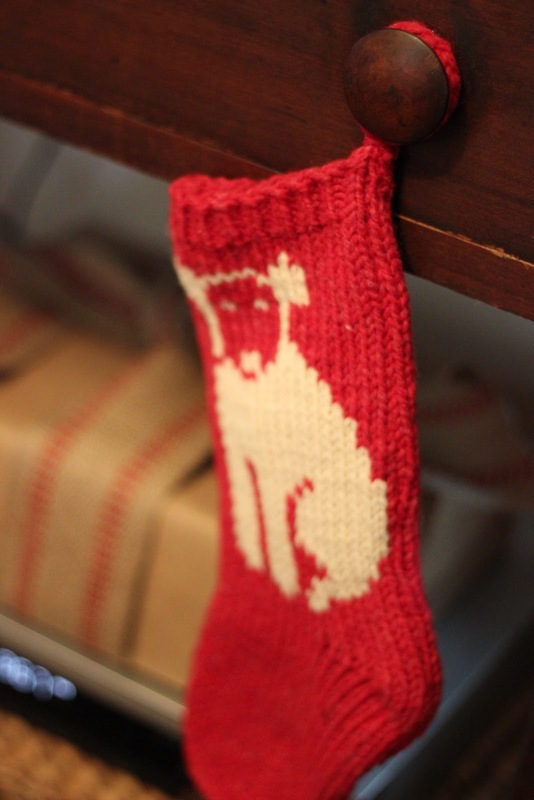 Hung by the chimney with care! 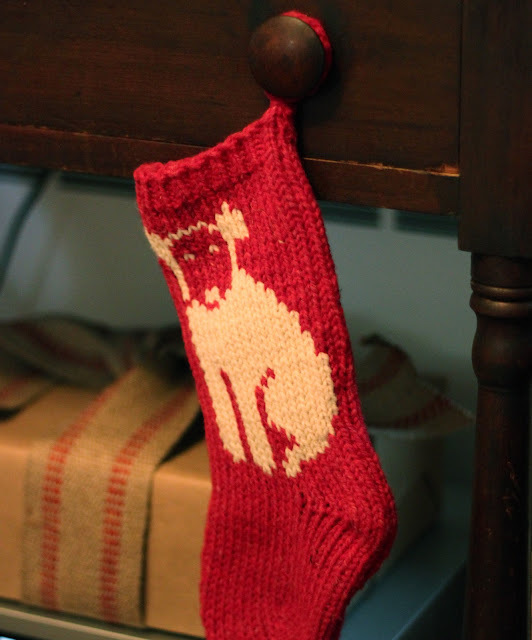 Mr. Darcy's stocking (from last year) matches perfectly! Those turned out precious!! 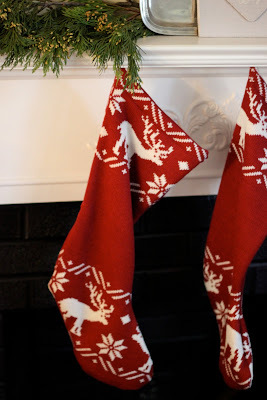 I love red, and the fact that you could make the stockings from a blanket plus a matching little throw pillow is wonderful. Emma Elizabeth | Santa Came Early!